The Electro-Voice ETX-10P powered speakers use a simple LCD interface to provide a surprising level of customization: users can adjust EQ, ambience, and limiter settings via a single knob in the back to tailor the sound to each new venue out on the road. 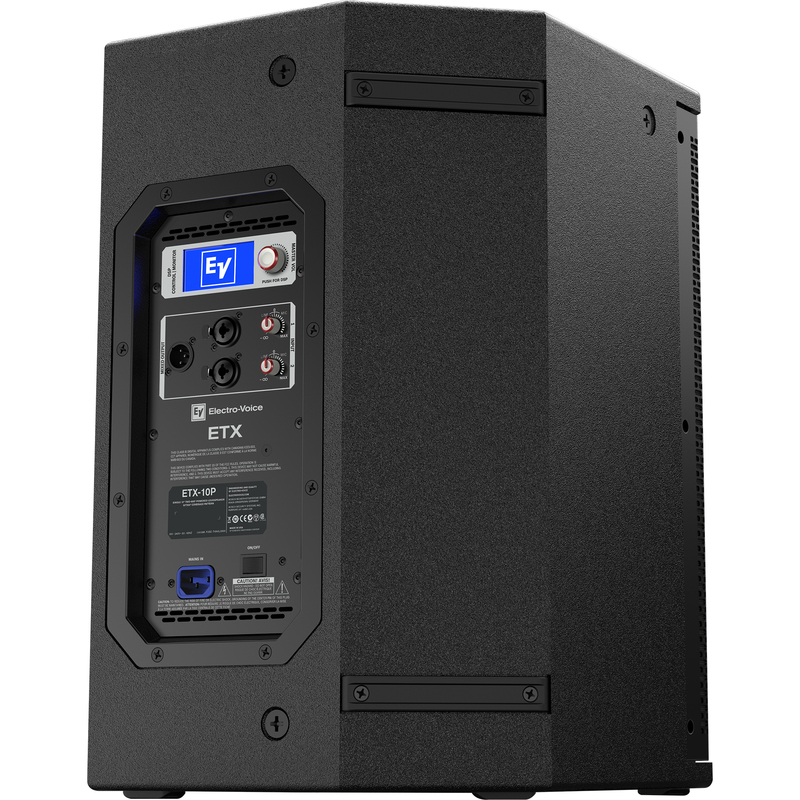 All these combined features make Electro-Voice ETX-10P a smart choice for touring bands and DJs, or for use as permanent enclosures for churches, wedding halls, and entertainment venues. EV's FIR‑Drive utilizes the latest Finite Impulse Response (FIR) filter technology to optimize transducer linearity. Advanced limiter algorithms for independent peak and thermal transducer protection. FIR-Drive was originally designed for EV's high end touring amplifiers, but now finds a new home in the ETX series. Every ETX model is subjected to a 1,000 hr "torture test"
Dimensions (H x W x D) 21" x 13" x 14"